All members that spent the night at EBZR received a full breakfast on sunday morning with view of the airfield and the first ops of the day. Wishing all of you a healthy, wonderful and inspiring 2015. 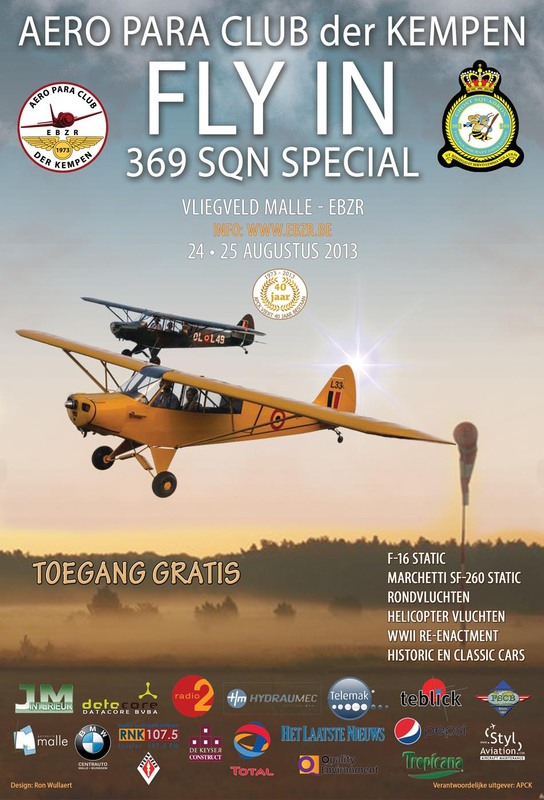 369 Squadron - (BVAA) was invited to head up the Vintage Section at Belgian Air Force Days - Kleine Brogel AB. We enjoyed three days of sensational displays, compliments from the fans and a very relaxed and pleasant atmosphere. 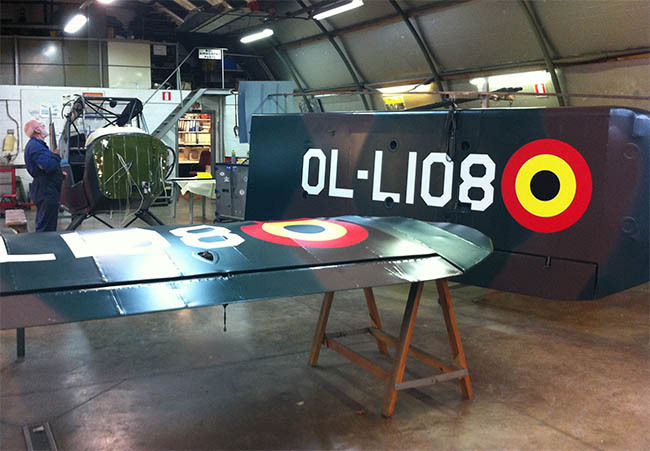 The associations HAG - Historical Aircraft Group Italy and 369 Sqn Belgian Vintage Aircraft Association, have declared themselves twinned in a mutual goal aimed at emphasizing, restoring and preserving historic aircraft as well as promoting and fostering aeronautical knowledge and culture. 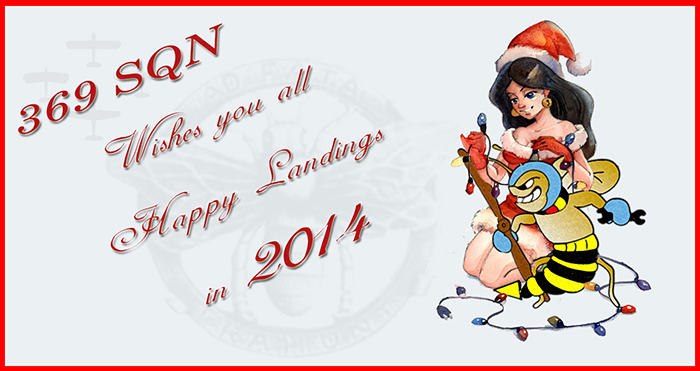 We wish both associations many happy landings! Wishing all of you a healthy, wonderful and inspiring 2014. L108 is almost ready and will be a show puller next season and the star of an upcoming Tv show. Wishing all of you a healthy, wonderful and inspiring 2013. Despite the absence of a few crowd pullers, this event was nothing less than a huge success. The line up of warbirds and oldtimers was impressive. The 7th edition definitely proved to be one of the best so far. 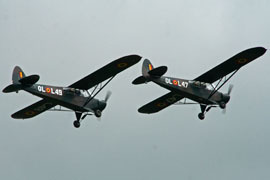 369 SQN was invited to participate at this event to honour its nith edition with a five-ship fly past. 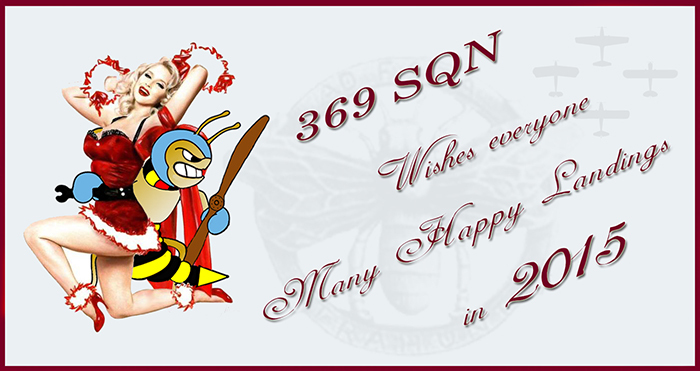 For some time now, invitations have been pouring in for 369 SQN to participate in meetings at home and abroad. 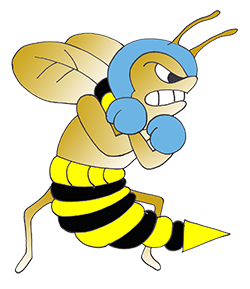 It promises to be a fantastic season and we hope to be able to welcome all 369 SQN members. Wishing all of you a healthy, wonderful and inspiring 2012. L108 is coming home! 369 Sqn members have succeeded in acquiring L 18 C - L108 in Germany and are bringing her back to Belgium where she will be restored to Belgian Air OP livery. 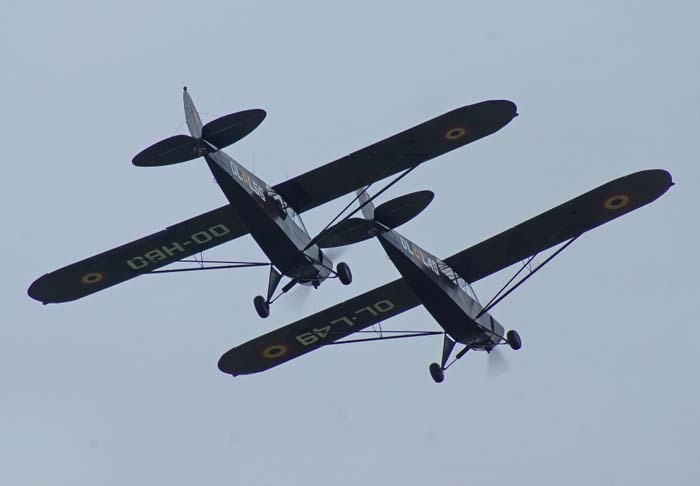 Two 369 SQN aircraft made a flypast at the memorial service at the cemetary of Waasmunster, Belgium in honour of the 70th anniversary of the shooting down of the a RAF Handley Page Hampden. A memorial sign was unveiled at the gates and wreaths were laid at the graves of the four British and Canadian crew. Present were delegates from resistance and veterans organizations, the ministry of defence, the mayors of Waasmunster and Hamme and the ambassadors of Great Britain and Canada. 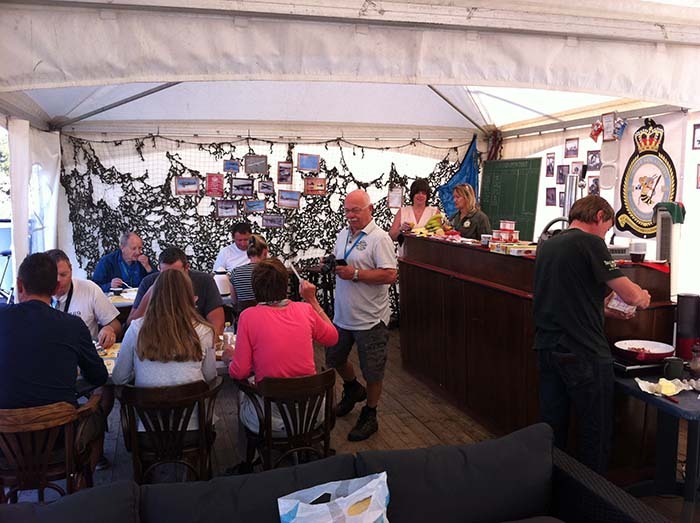 The 369 SQN Cubs were invited to this year's Vieilles Tiges Meeting at Spa together with the Red Devils. This year's Fly In at Zoersel was extra special with some exceptional aicraft. 369 SQN participated with 11 aircraft. 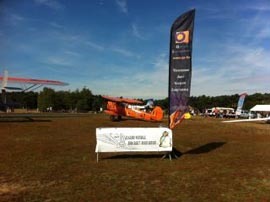 369 members received two awards at the Oldtimer Fly In. Congratulations to best Frati and best Stampe. 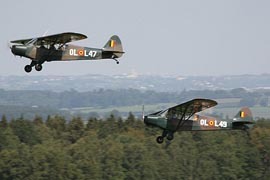 In 2011, the Belgian Air Force is celebrating its 65th anniversary with a fantastic airshow which already provmises to be one of the greatest in Europe for the 2011 season. 369 Squadron hosted its first gathering at EBBT on 26/03. 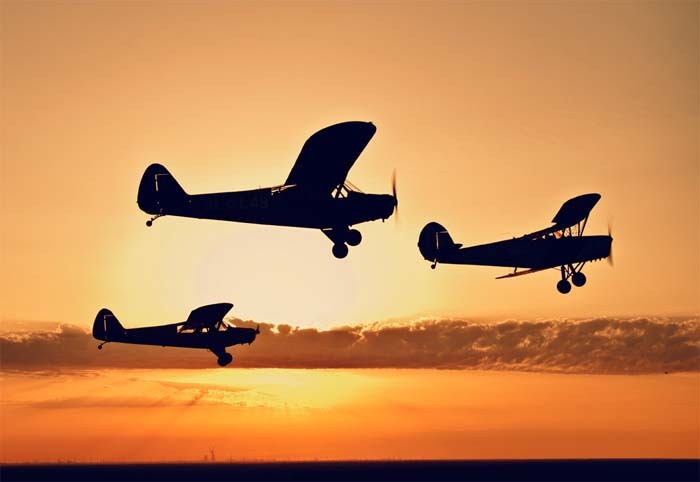 In total, 9 Aircraft of 369's fleet participated in the cross-country flight and the whole team had a fantastic time. As a 369 tradition, backseats were available for all members attending which made it especially rewarding for pilots and non-flying 369-ers. 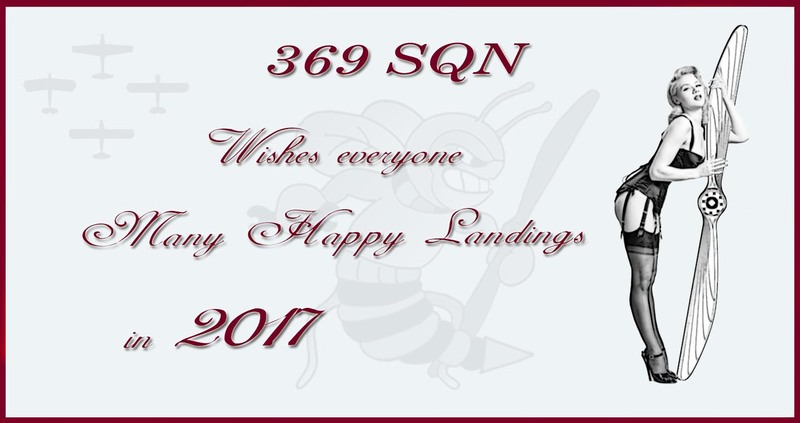 369 Squadron will be planning further events in the near future. Wishing all of you a healthy, wonderful and inspiring 2011.